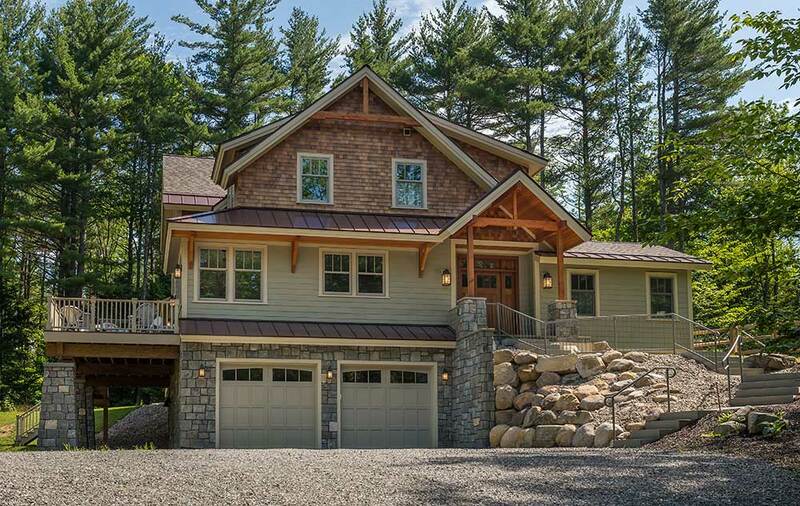 Custom home designed by SD Atelier Architecture, LLC with 3 bedrooms, 2.5 baths, office, craft room, dog wash station and an elevator to make this your forever home. 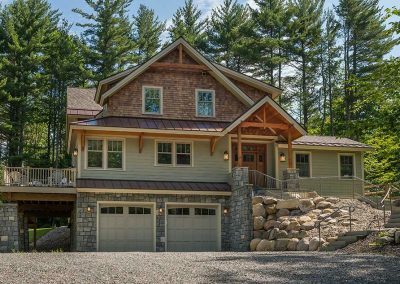 The exterior is finished with Certainteed Weathered Wood Asphalt Roof Shingles, Mansard Brown Metal Roofing, Cypress Moss stained Cedar lap siding, Blue Mountain Granite masonry details and a mahogany front door. 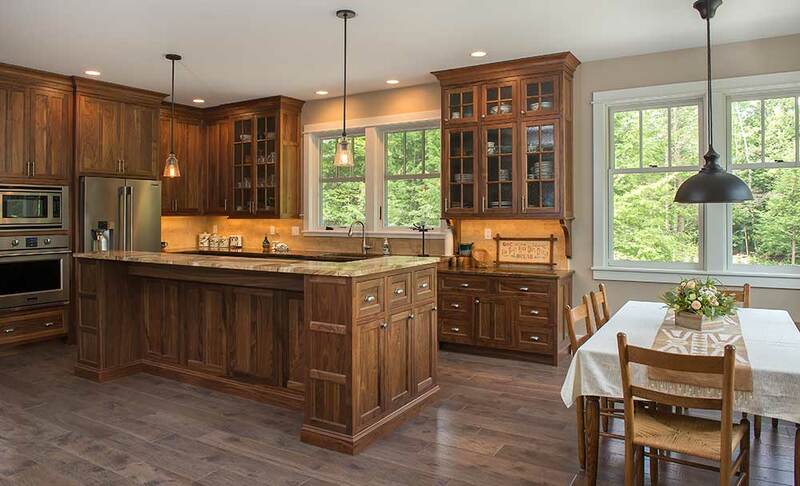 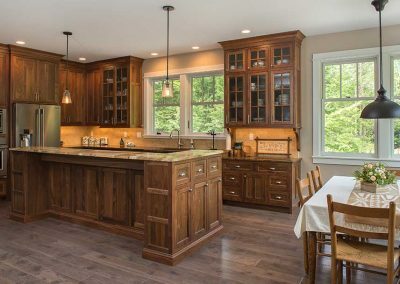 An open floor plan kitchen with Pallmino Pietra Imperial granite countertops and clear walnut handcrafted cabinets. 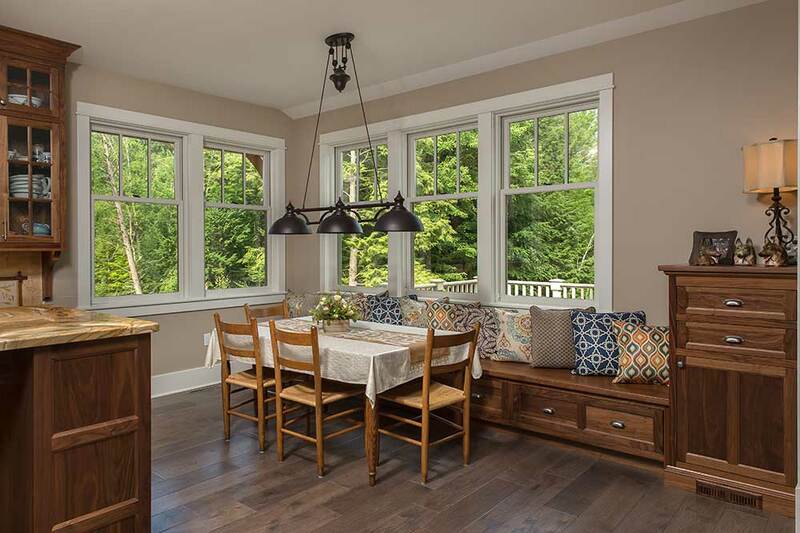 The first floor is finished with 7” Concho Hickory pre-finished hardwood flooring. 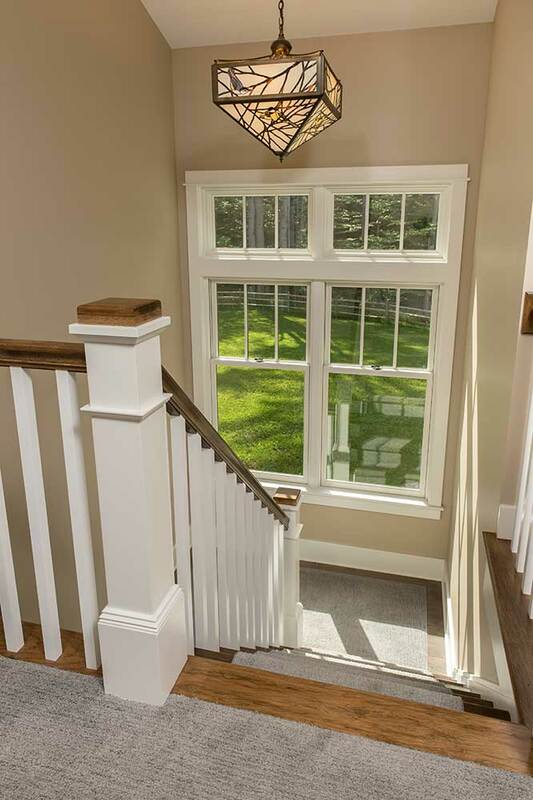 A custom staircase finished with hickory treads and solid hickory railing from the basement to 2nd floor. 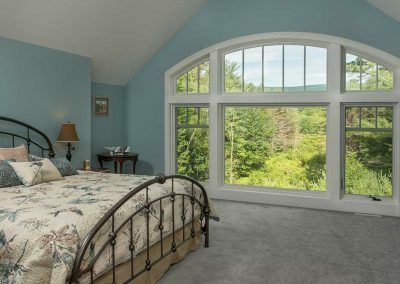 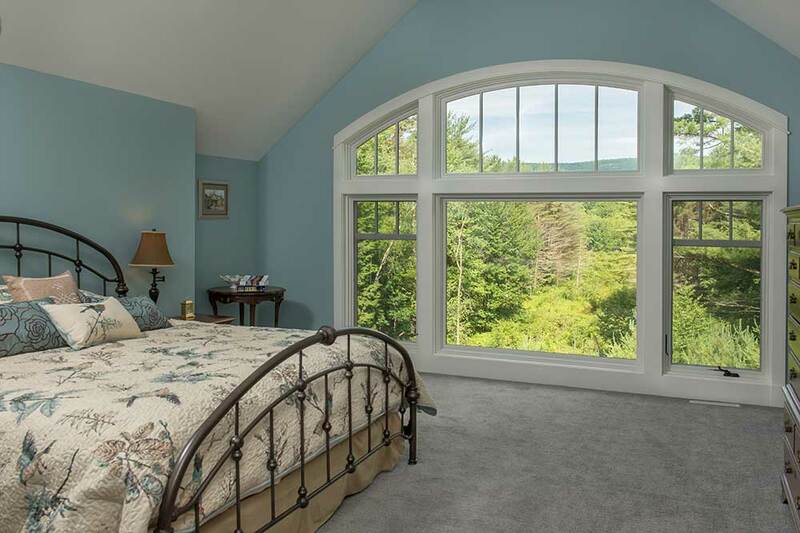 The master bedroom has an unobstructed view of the private property and quiet mountains. 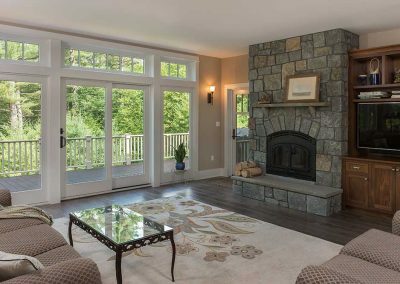 A wood-burning fireplace in the living room with a Bluestone hearthstone and hand crafted mantle finished with Blue Mountain Granite masonry details. 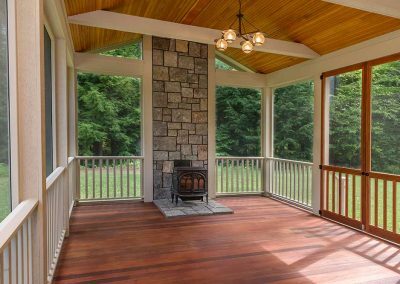 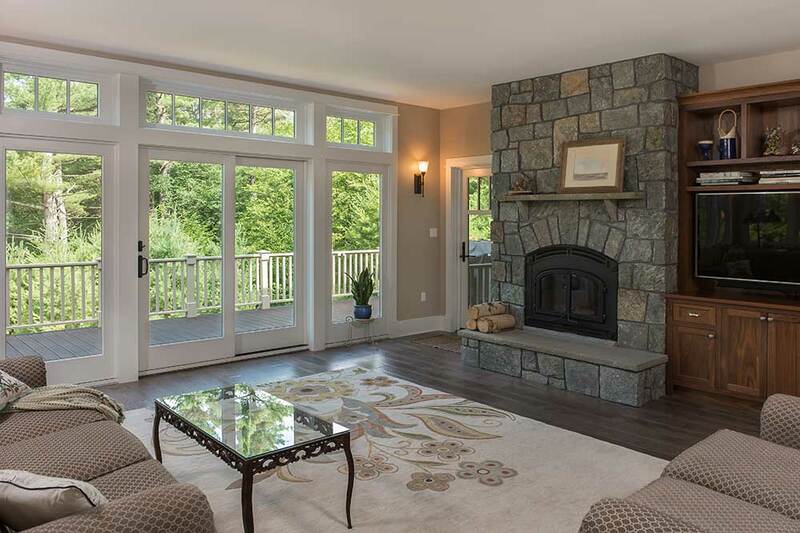 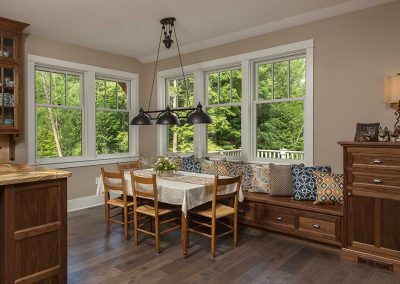 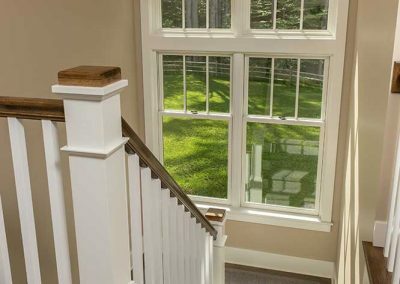 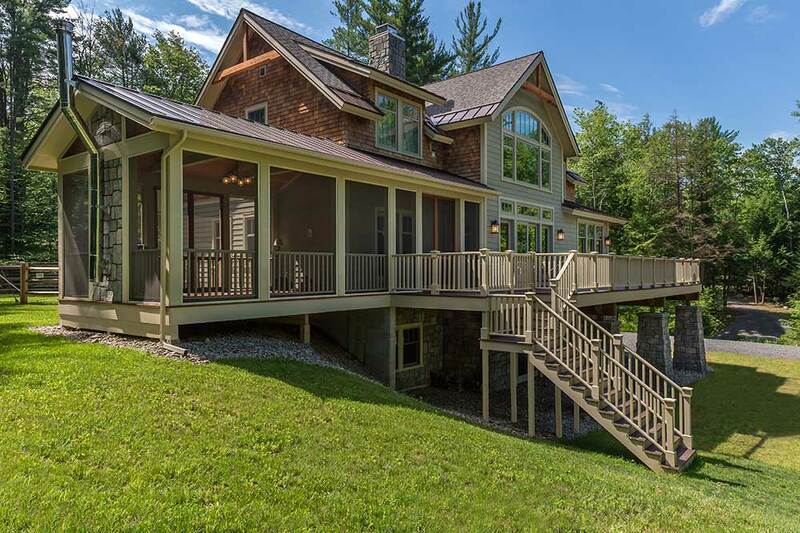 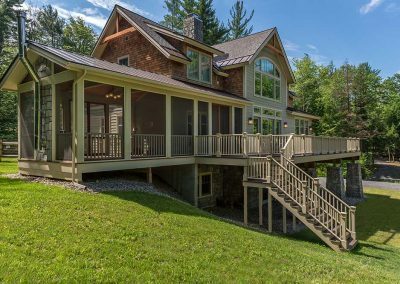 Step onto the screen porch with mahogany decking and stay warm by the wood-burning stove finished with Blue Mountain Granite masonry details.